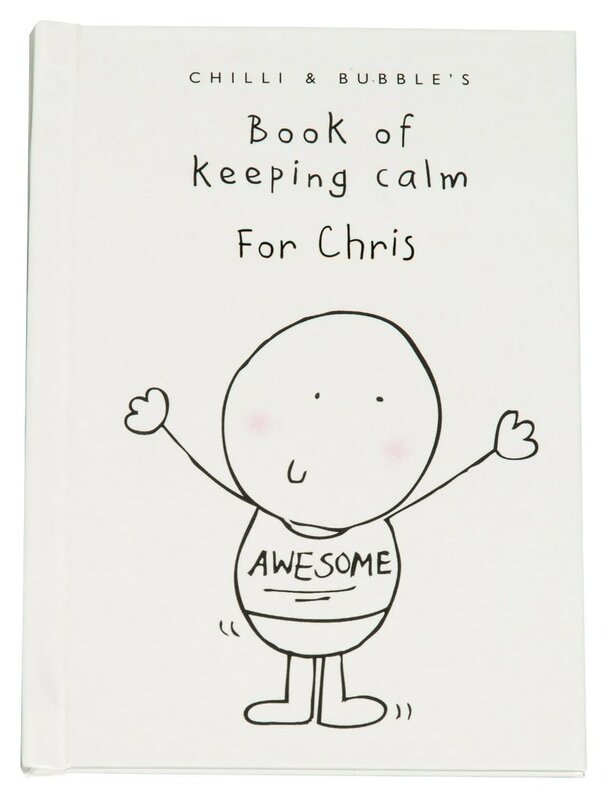 Is someone you know getting stressed out and uptight? 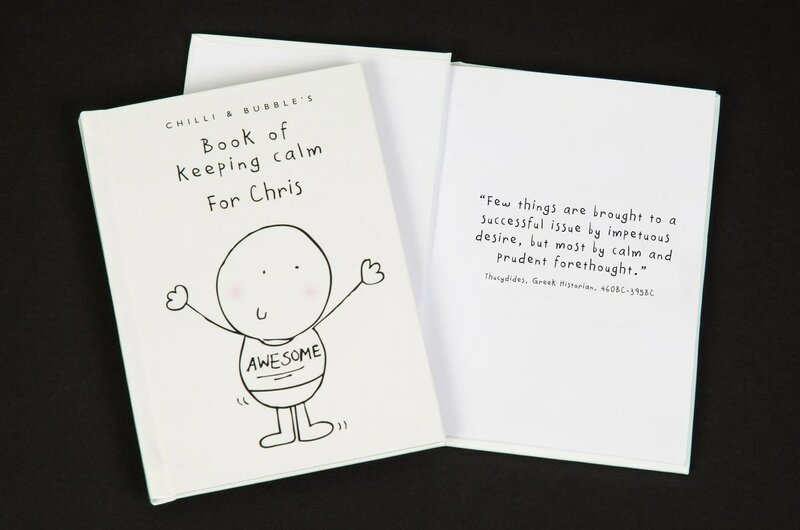 Give them this book and tell them to keep it on their person at all times. 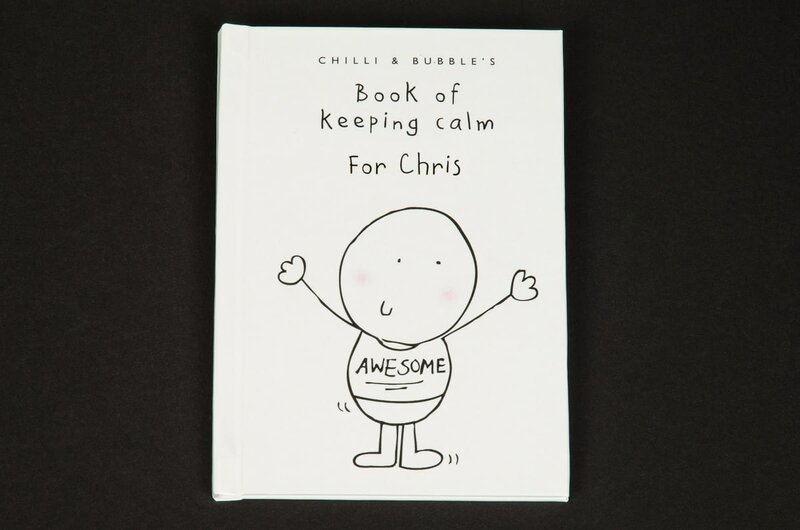 In its own light-hearted way it offers advice on staying calm. 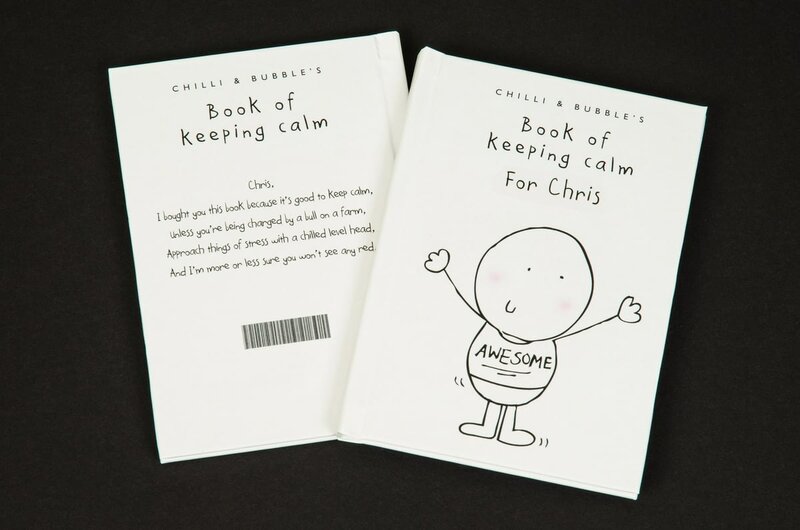 The A6 book's covers are personalised with a name, that is also included in a poem inside and together with your message on pages 2 and 3. 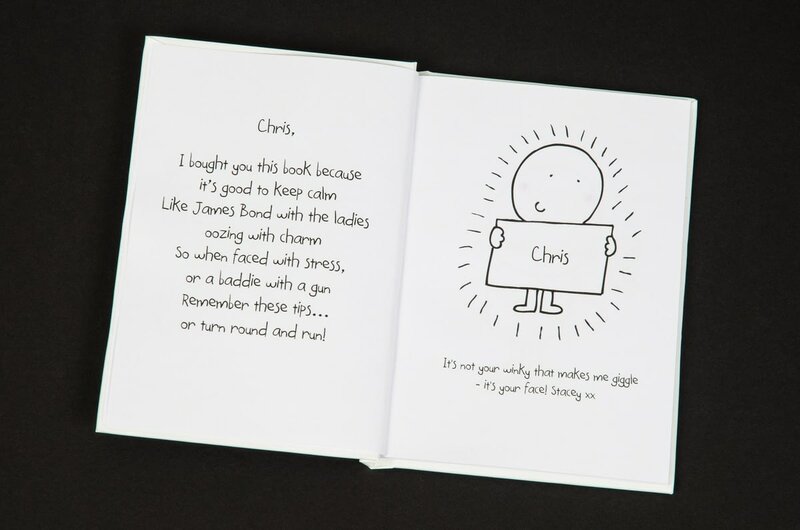 This cheeky, light hearted A6, personalised book is the perfect way to tell your fella just how much you love him. Chilli and Bubble can't wait to join in the celebrations on this bespoke china plate. Our cheeky character is on the front complete with their own cheeky little celebration drink. Balloons and cake go hand in hand with Birthday celebrations, and this china plate is no exception to that rule. A cute Chilli and Bubbles family adorns this 8" bone china plate, perfect for the Christening Day of a precious little one. 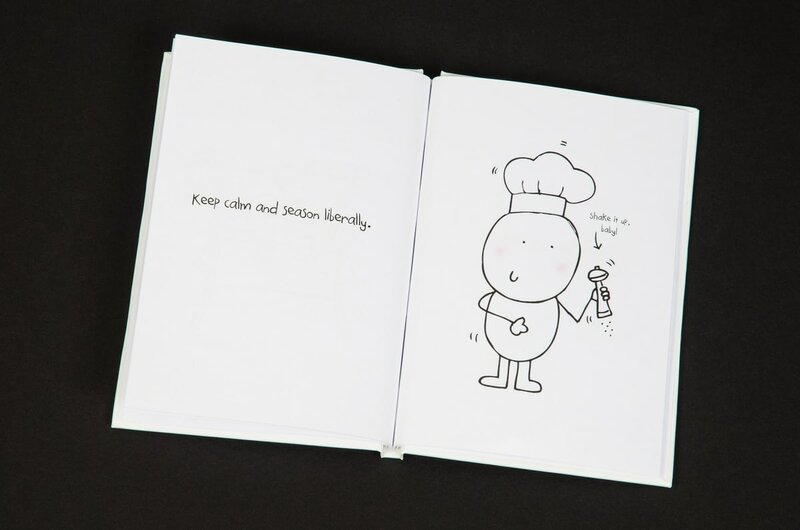 Include a message of love alongside our Chilli and Bubble character on this bespoke plate. Stars and sparkles are the perfect way to give someone a proper send off, and with this commemorative plate you can celebrate in style. With china being a traditional gift for a 20th anniversary this plate makes an ideal yet unique wedding anniversary gift.